← How productive are you? US Airways is seeking a takeover of bankrupt American Airlines. This is not just a bad deal for US Airways, but further airline consolidation is bad for the flying public. Less competition means fewer choices, fewer flights, and higher prices. Proof once again that you cannot tie two rocks together and get them to float. 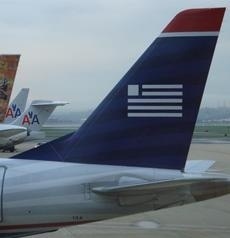 This entry was posted in Business, Management and tagged airlines, American Airlines, merger, takeover, US Airways. Bookmark the permalink. Hmmmm, depending on their density, if the two rocks are pumice, the two can float. However, in the case of the airlines, I’d say that the two rocks are granite and they will definitely NOT float.